As this article is being written, the US government is in Day 20 of a government shutdown. Tomorrow, January 11 – will tie the record for the longest shutdown and it is also the first day that many Federal workers will miss a paycheck – if goes through the 15th even more workers will lose pay, including those funded through the Department of Homeland Security, like the US Coast Guard. Those deadlines and effects have been much discussed in the media but not a lot has been mentioned about the Federal Civil Court System. I was speaking to a Federal Court clerk today about a case, and since a shutdown has never gone on long enough to effect the courts, he has never had to miss a paycheck. He said he was told that on January 18th, the Federal court system runs out of funds. The Anti-Deficiency Act will keep the criminal courts going. The Antideficiency Act permits the government’s “essential services” to be funded during a shutdown. Since criminal justice is generally considered “an essential service,” criminal cases will continue to be heard. Also, the Sixth Amendment’s requirement that defendants be given a “speedy and public trial” would mean serious potential problems should the prosecution of criminal cases be suspended for any significant length of time. 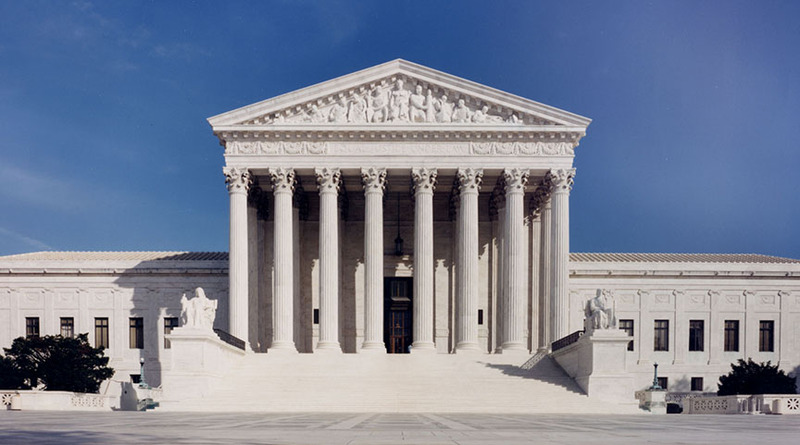 As a Constitutional branch of government, the Supreme Court will continue to be open to hear oral arguments, accept filings, and work on pending cases, but many parts of the operation will be shut down or reduced. The Administrative Office of the U.S. Courts said courts are being asked to delay non-mission critical expenses, such as new hires, non-case related travel, and certain contracts. If the shutdown goes past Jan. 18, the Judiciary will be forced to go into “essential-services-only” mode. The Department of Housing and Urban Development sent letters to 1,500 landlords asking them not to evict residents in housing assistance programs — including those with Section 8 vouchers — for which funding has lapsed. So landlord-tenant courts will not be dealing with those cases. While tenants will be glad to hear they can’t be evicted during the shutdown, landlords will have to figure out a way to keep their buildings running without the Federal money if the President’s threat that it could continue for months and beyond is realized. But the biggest issue is with Federal civil courts. Litigants may well be denied access to those courts when they run out of money. And if a Federal agency that is shutdown is a party or a witness to case they will not be able to participate. Businesses and individuals who need to seek redress from the Federal courts may be out of luck. That could have a serious economic impact on a company who needs access to court to stop a harm from occurring or continuing. Presumably, they would have to make some form of application to prove an actual emergency in order to behave the handling of their case deemed “essential.” The court will likely have to suspend or postpone civil trials in their entirety, disrupting schedules and plans that have long been in place. Federal civil court is not like State civil court. Federal judges carry both a criminal and civil calendar. Criminal cases get priority. So when a Federal court has an open period of time in which to conduct a civil trial, that date is set in stone and it is very difficult to get it moved. If the shutdown continues to the point where those schedules get disrupted, then a series of cases – perhaps dozens in each courthouse around the country – get disrupted. The shutdown has already led to a slowdown in processing civil lawsuits, and some confusion, as federal judges across the country have issued a hodgepodge of conflicting orders. In the Federal District Court for the Southern District of West Virginia, a federal judge ordered that all cases in which the federal government is a party be delayed. Justice Department lawyers are seeking to delay civil cases in which the government and/or President Trump are named as parties; they claim they are right now not able to working on “non-emergency” cases. In a lawsuit alleging that President Trump used his Washington hotel to illegally profit from business with foreign countries, a delay has been granted. But in a case that seeks to block the Trump administration from questioning people about their citizenship in the 2020 census, Judge Richard Seeborg of the Federal Court in San Francisco, denied the government’s request for a delay and ordered the trial to begin this coming Monday. Michael Tobin, a spokesman for the U.S. Attorney’s Office in Cleveland, Ohio, stated in an article in Cleveland.com that about 20 civil attorneys who defend the federal government in civil lawsuits, as well as file civil suits on behalf of the government, were told to go home as a result of the shutdown. Much of the support staff for the civil attorneys, as well as most contractors who work for the office, are also on unpaid leave, he said in the piece. As a result, Ohio’s Chief U.S. District Judge, Patricia Gaughan halted all litigation in the district for civil cases involving the United States. The order is set to expire today, but she said she will have to extend it should the shutdown continue. The already overburdened immigration courts will be getting hit the worst. Currently, there are more than 800,000 immigration cases pending. Most of these courts, except those that hear the cases of applicants or defendants currently in detention, are already closed because of the shutdown.